A drive enhances the beauty and curb appeal of your property. It influences the first impressions of your guests and people who pass by your house. But while everyone wants their drive to look pristine and beautiful, who likes the idea of cleaning them? With All Gleaming Clean, you won’t have to worry about scrubbing your drive on your own. We clean, restore and preserve all types of driveways, be it concrete, asphalt or brick. Whatever the surface is, our team of professionals can clean and leave it polished. Why Should You Hire All Gleaming Clean? Over the years, your drive undergoes a lot of wear and tear. It accumulates stubborn engine oil spots, mould, moss, algae and many others. This stubborn dirt can refuse to come off even after intense scrubbing. If you want to thoroughly clean your drive, a detergent and hose won’t do an efficient job. All Gleaming Clean’s experts can rid those stains for you and remove algae that build up over time. With our professional equipment and advanced techniques, we will eliminate all of the eyesores from your driveway and leave it looking brand new. Driveways have tough surfaces and it’s time-consuming to clean them. With All Gleaming Clean’s advanced cleaning equipment, consider the job done. We use revolutionary truck-mounted cleaning systems that are easy to control, allowing us to finish the job efficiently. The machines also remove unsightly tyre marks, weeds, slippery algae and most oil stains. All Gleaming Clean understands that choosing a driveway cleaning team can be difficult.  There are many unqualified companies that promise services at exorbitant prices. All Gleaming Clean is different. We are focused on customer satisfaction, delivering excellent jobs at reasonable prices. Let us help you restore the beauty of your drive. Call us today and request a free quote.